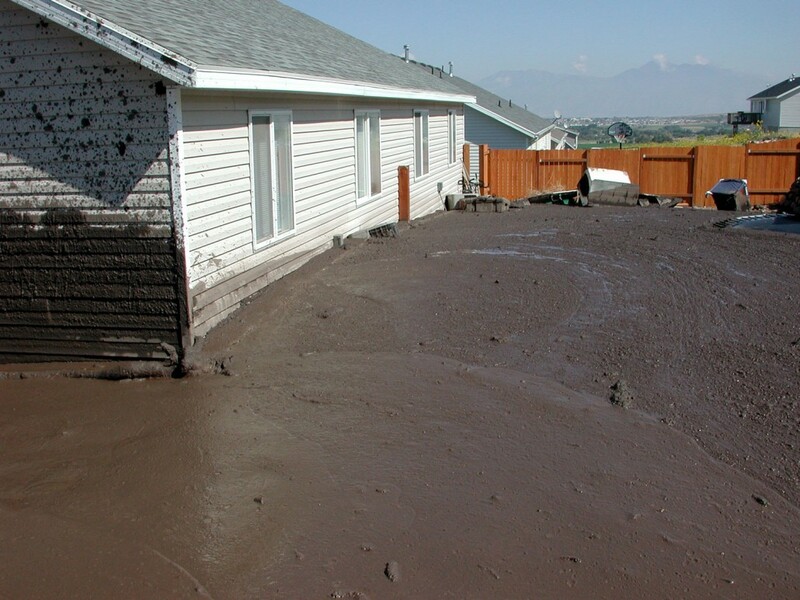 The brown muddy deposits show the path of a debris flow through this Santaquin subdivision. Front-end loaders and dump trucks are removing the sediment deposited by the debris flow. 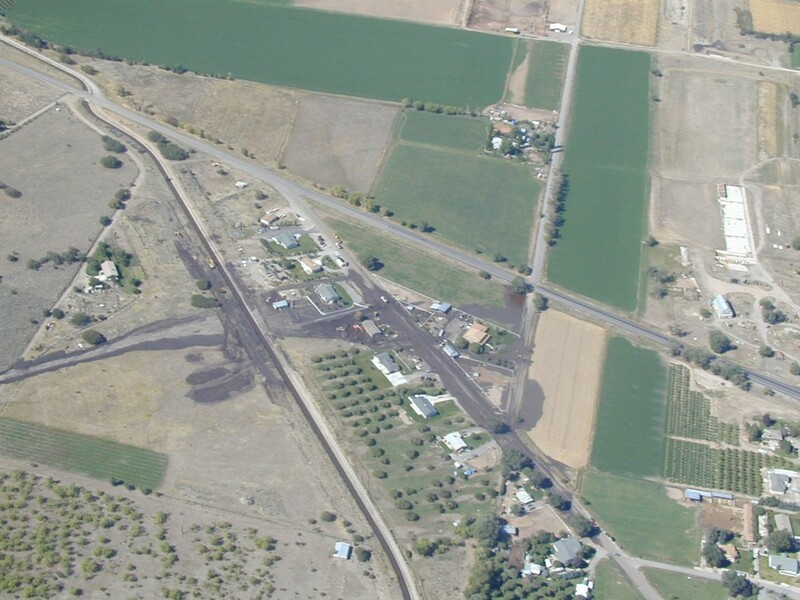 Interstate 15 is at top of the photograph, view looking west (U.S. Forest Service photograph). 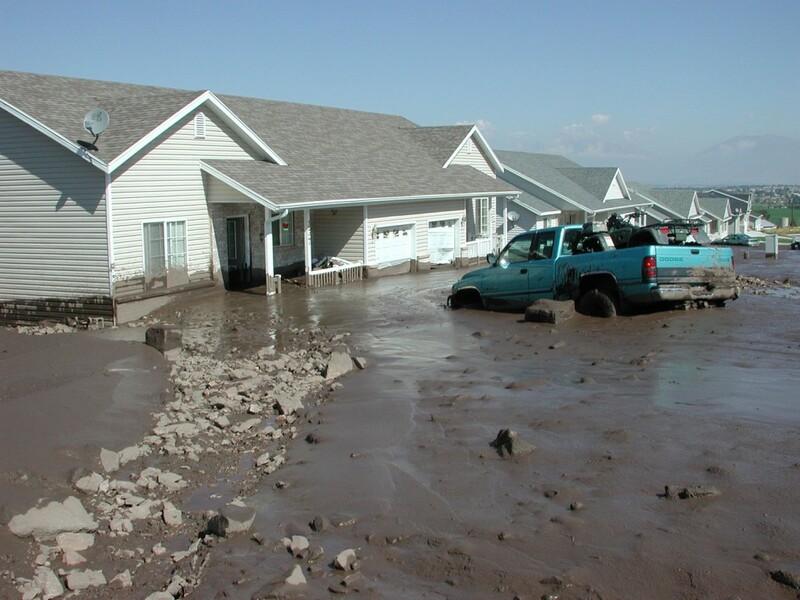 On the evening of September 12, 2002, intense thunderstorm rainfall on Dry Mountain, about 18 miles south of Provo, triggered fire-related debris flows that traveled down drainages and onto alluvial fans, damaging houses and property in Spring Lake and Santaquin east of Interstate 15. 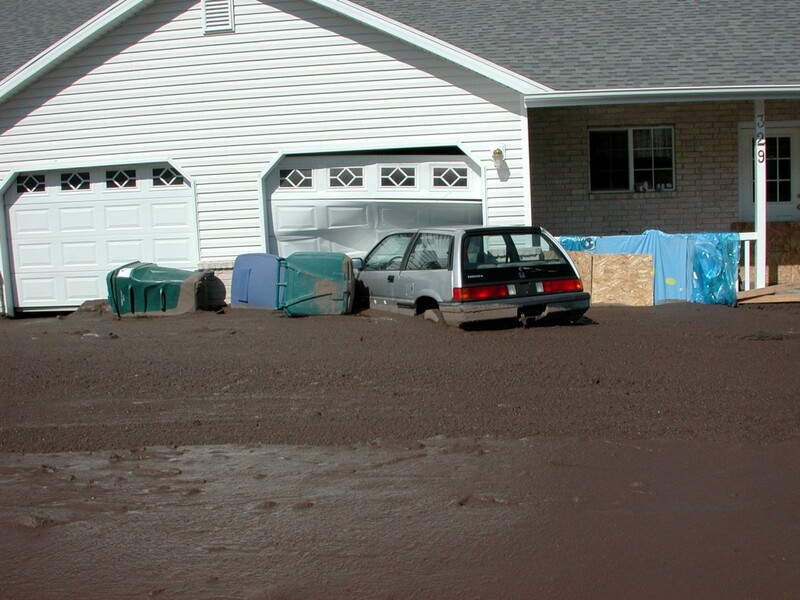 Fire-related debris flows are debris flows that start in areas burned by wildfires. The debris flows started high in the drainages on the east side of Dry Mountain that burned in the 2001 Mollie wildfire, a human-caused fire that burned 8,000 acres between August 18 and September 1, 2001. 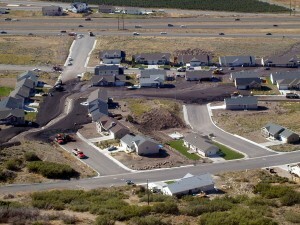 The most damaging debris flow traveled through a subdivision in Santaquin. 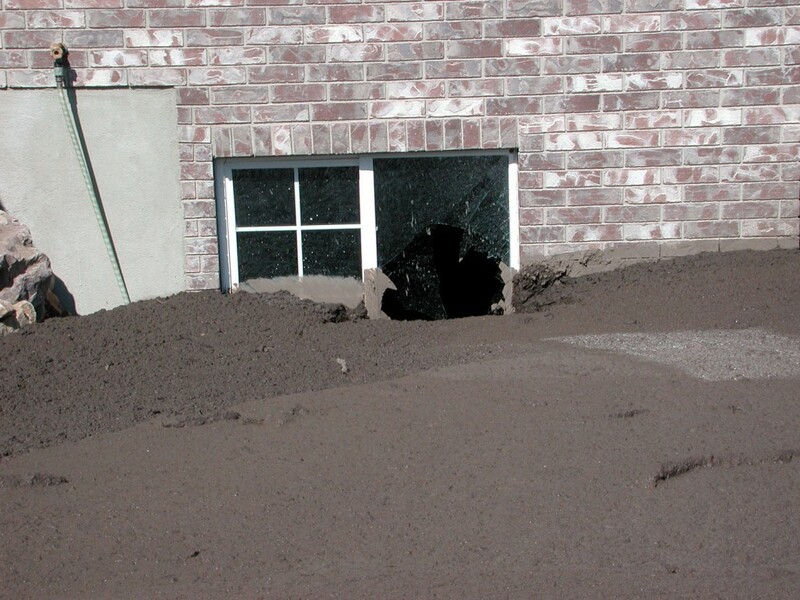 This debris flow moved and partially buried several vehicles, broke through a house wall, and entered other houses through broken basement windows and doors. 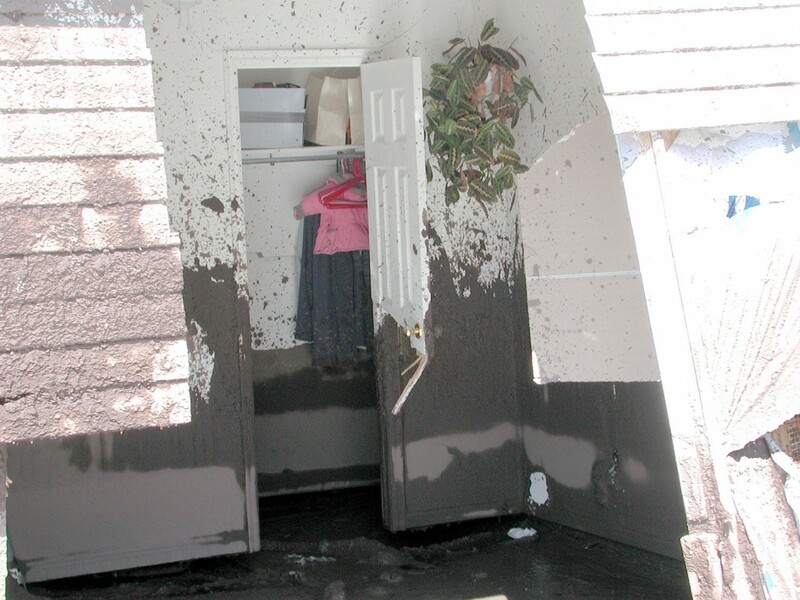 Debris-flow impacts also tore gas meters from their mounts, causing gas leaks and a small fire. 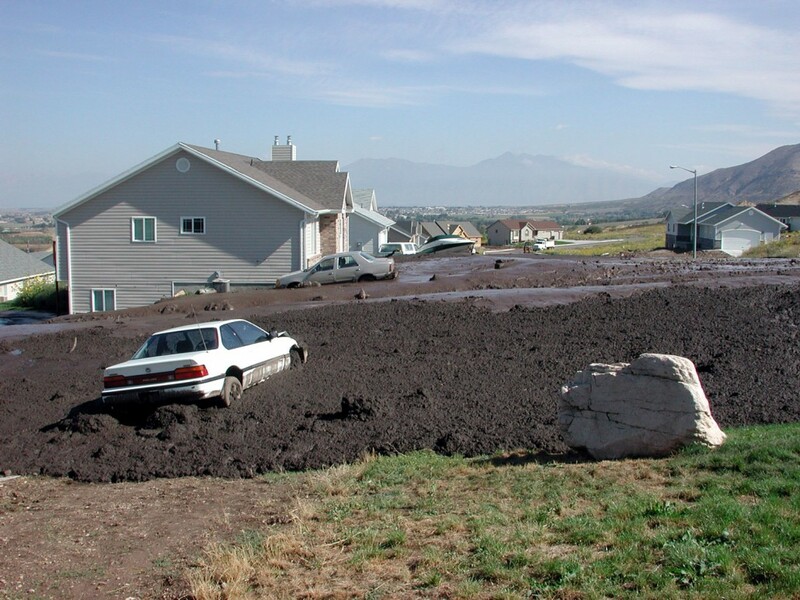 Sediment flow and burial on lots also damaged landscaping and property outside the houses. 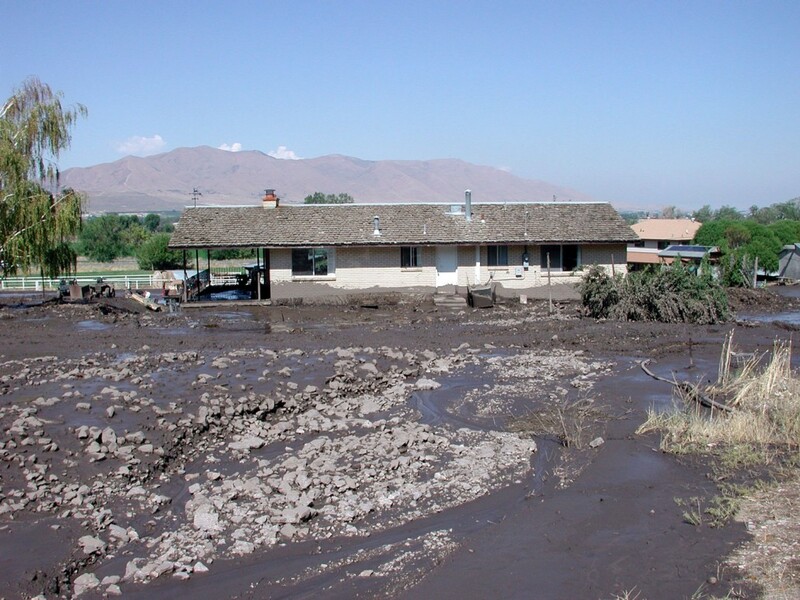 A debris flow in Spring Lake filled part of the High Line irrigation canal with sediment, causing flooding in addition to debris-flow damage. 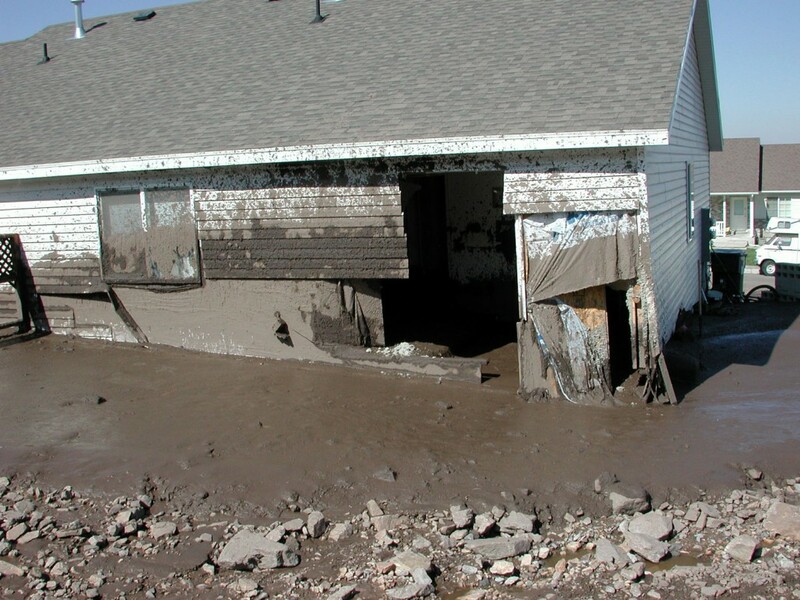 For additional information read the Geologic Hazards Program Technical Report (pdf-4MB).